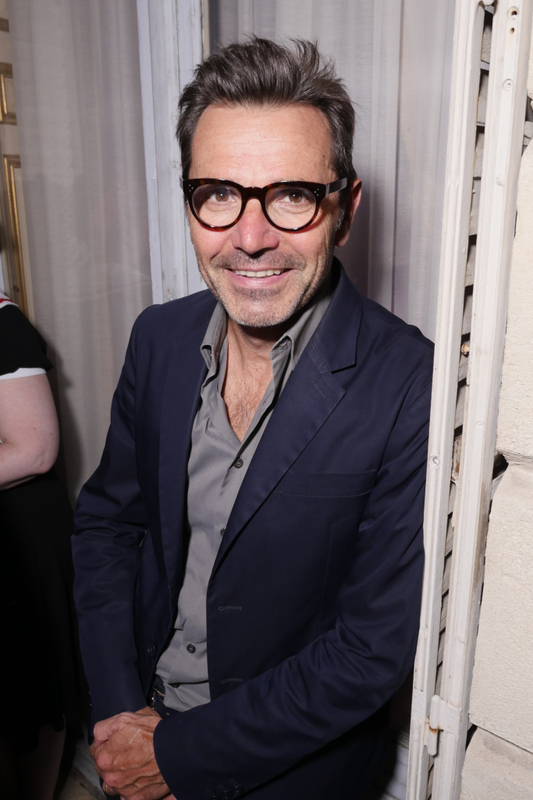 It was downright sizzling at the Jean Paul Gaultier party celebrating the new Scandal By Night women’s fragrance, due out in September. Elisabeth Jones Hennessy, Anna Cleveland, Paz de la Huerta, Betony Vernon and Catherine Baba were among guests at the majestic 19th-century mansion on the Place Saint-Georges that was teeming with pole dancers, leather-bound men and gender-bending staff peddling black fans, red lollipops and French letters in wicker baskets. In true Gaultier fashion, a cloakroom attendant sported a striped sailor shirt. “Scandal was the official life, and Scandal By Night is the non-official life of ‘Madame La Ministre,’” said Thomas James, general manager of Jean Paul Gaultier, referring to the protagonist in the advertising campaign for the original scent out last summer. She’s a government minister who parties all night in Paris’ Pigalle neighborhood then makes her way directly into the office. “This is a night experience,” continued Vincent Thilloy, senior vice president of prestige designer and alternative brands at Puig, Jean Paul Gaultier’s owner. Rossy de Palma, a longtime friend and muse of Gaultier, was in attendance. The actress, who recently appeared in the hilarious #Jeanpod spot to help the designer mark his 20 years in the perfume business, plans to take her theater piece, “Love, Travel and Resilience,” on the road, to Paris, Lisbon and Argentina. That might be Spain’s Formentera or Madrid, continued de Palma. In fact, Formentera is Blanca Li’s holiday destination of choice this summer. “I need to disconnect from everything, and that’s the place for me, where I can really let it go,” she said. Biarritz, in southwest France, is the upcoming vacation spot for Vincent Cassel, who arrived at the party with Tina Kunakey.